African leaders are expressing tentative relief as the continent passes 366 days without a case of polio. The last known case was recorded in Somalia on August 11, 2014. For the most part, celebration has been modest. Nigeria, for instance, marked the occasion with a small tree-planting ceremony. Part of the cautious optimism is to prevent momentum of vaccination efforts from being lost due to overconfidence. The other part is because the World Health Organization (WHO) will not officially consider polio eradicated in Africa until three years pass without an incident. Still, the one-year milestone is a testament to the innovation and tenacity of both world health officials and African governments. The global effort to eliminate polio began in 1988, and cases have been dropping annually ever since. Nigeria became a polio hotspot in 2003, following a fatwa claiming the vaccine was a plot to sterilize Muslim women. This, combined with rumors that it contained pork products and HIV, resulted in the governor of the northwest Kano state stopping vaccinations for a year. In that time, a local strain spread to 10 other African nations, followed by Saudi Arabia, Yemen, and Indonesia. 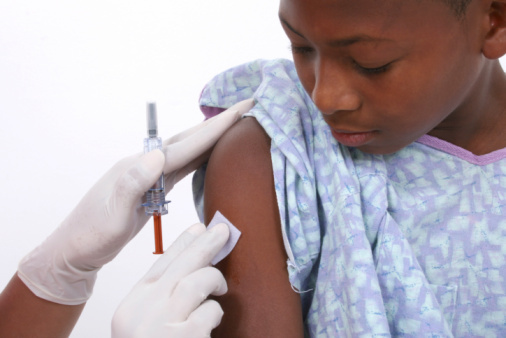 To promote and propagate the polio vaccine across Africa, numerous methods have been employed. In order to counter the rumors about the vaccine, Islamic scholars were flown in to endorse the vaccines as halal. Community mobilizers—many polio survivors or mothers—were called on to spread information by talking to their neighbors. Survey teams mapped villages and hard-to-access areas so distribution efforts could be better organized. When the terrorist group Boko Haram started becoming active, “hit and run” teams were developed that would swoop in to public areas on safe days to administer vaccines. This past year, only 34 cases of polio were reported worldwide. All of the occurrences were in Pakistan and Afghanistan. While this places pressure on the governments of the two countries to do better, it also means the virus, for now, seems to be cornered. Altman, L., “Pocket of Opposition to Vaccine Threatens Polio Eradication,” New York Times web site, December 9, 2003; http://www.nytimes.com/2003/12/09/health/pocket-of-opposition-to-vaccine-threatens-polio-eradication.html. McNeil, D., “A Milestone in Africa: No Polio Cases in a Year,” New York Times web site, August 11, 2015; http://www.nytimes.com/2015/08/12/health/a-milestone-in-africa-one-year-without-a-case-of-polio.html?_r=0.